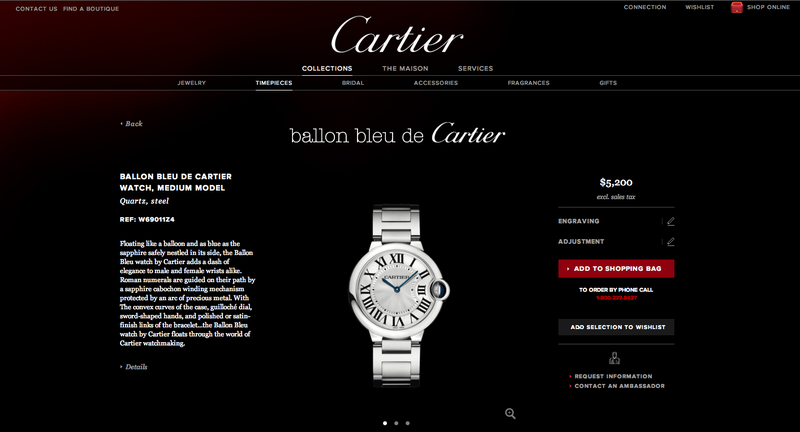 This is a long overdue overhaul for Cartier’s online presence. 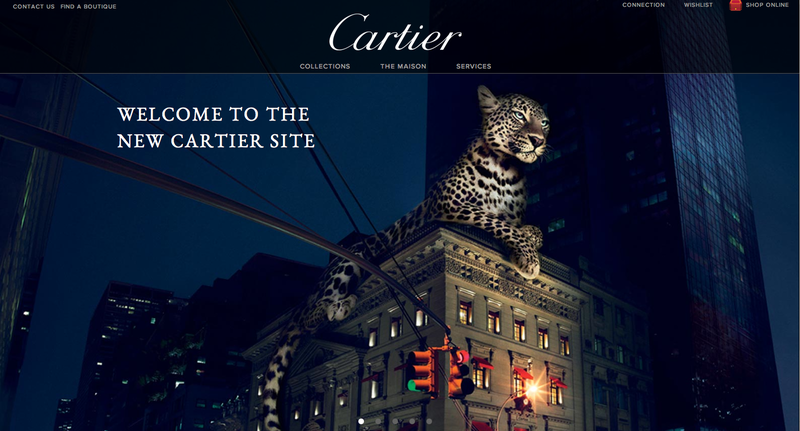 It took the Iconic Luxury Brands about 2 years to revisit its online retail presence. The new site is now live in the USA and will rollout internationally. Should we fight for generic search terms or only focus on branded terms? Is there a true drive-to-store effect? Luxury Brands take notoriously more time and money to build their online flagships – be it organisational reasons, hesitations about Brand representation, processes, resources… Anyway, it is now live and it does not look like it is two years old. It is contemporary, but it is not Innovative. The focus is on staging the Product – At last! Design is clean and non controversial – almost neutral. Images are beautiful, but the screen design too big – forcing unnecessary scrolls. 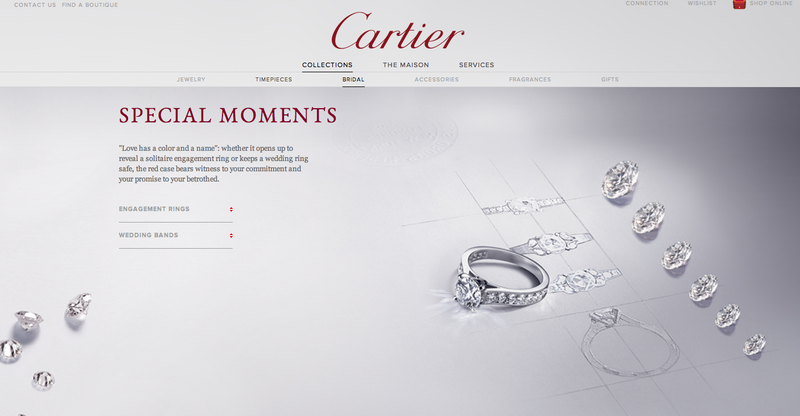 Cartier follows the trend towards rich Product pages – an important way to establish your brand as the authority and offer personalisation. Navigation is simple – not overcomplicated – and First level categories are straightforward without confusing submenus. The IWC Inspiration is obvious in the Product pages, and the sliders & scrolls are ‘deja vu’. From a usability perspective those are a nightmare. the other areas seem to have been overlooked and require review. Disappointing and strange… this is where the Brand’s superb customer service could have been demonstrated. Some areas like the Conditions of Sale look like copies of contractual documents dumped online. The Small Print is REALLY small on that site and this is not reassuring. NEWSLETTER Subscription – too complicated and Misleading.. as you are required to create an account. A painful impediment to subscription. Some confusion – It is not clear why some products can be added to basket whilst others only to a wish-list requiring the creation of an account. Product personalisation and sizing is allowed on the site – in particular for straps and engraving. A message card can be designed from the shopping card – also a nice touch. It is well executed – not one of those boring chronologies. A great space for videos about what people really want to see. It blends heritage with history. 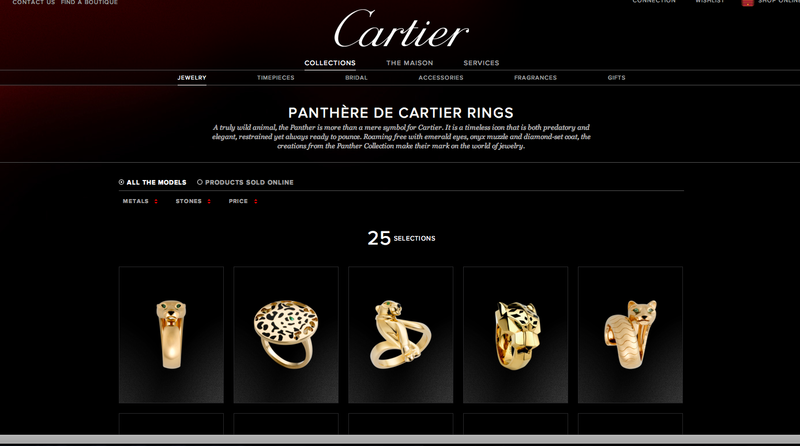 Now what about this CARTIER CONNECTED area hidden inside? We are curious to see it grow and expand. Greater attention to detail then ever here, which is excellent. This will raise the bar for competition – in particular in the terribly competitive Bridal space! Migration from the old site to the new site seem to have been overlooked as old links in google – an expensive search equity! – lead to error pages. Landing pages are planned – but I have not found them yet. The Brand chose to use DRUPAL Commerce to develop the site’s Front end and to plug it into its back end infrastructure. A wave of Luxury and Fashion Brands have opted for Drupal recently, and for all the issues one may have with it, it has become a welcome alternative and competitor on its segment to MAGENTO. This should stimulate improvements overall. 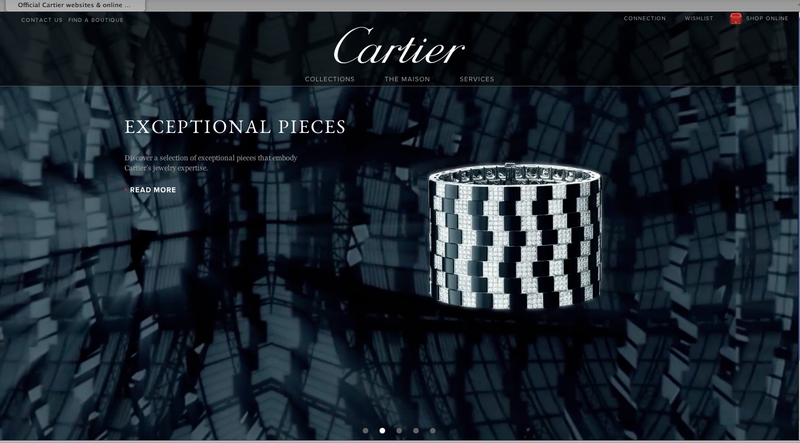 Cartier should be praised for having engaged – and taken a resolute position to build a consistent and quite exciting online presence. Alexandre Meerson is an E-Commerce consultant and Marketing expert in Cross-channel Retail for global Luxury & Lifestyle Brands. His consultancy – ‘La Boutique de Luxe’ – www.laboutiquedeluxe.com – helps Brands deliver Commercial Innovation and Change through superb Customer Experience, Digital Marketing & International Distribution.